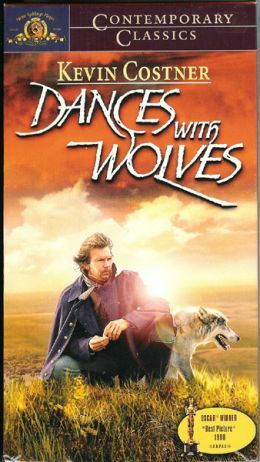 Dances With Wolves is a 1990 film that tells a Civil War-era story of one man’s epic journey of discovery. Kevin Costner portrays U.S. Army Lieutenant John J. Dunbar. He is severely wounded during a bloody stalemate battle in Tennessee. When he learns that his leg will be amputated he stiffens his resolve and refuses that possibility. At the end of himself, he climbs onto a cavalry horse and rides out onto the slice of real estate between the Union and Confederate lines. It is not a rational act; it is a desperate suicide attempt; he is completely surrendered to death. The horse carries him in range of enemy guns; with his arms outstretched he willingly invites them to kill him. His exploit becomes heroic because of the unexpected results—his comrades in arms rally and charge the field and the Union forces win the day. Impressed by Dunbar’s apparent fearlessness, the commanding general puts him in the care of his personal surgeon. The leg is saved and for his valor, Dunbar is awarded Cisco, the horse that he rode, and also, he was given his choice of assignments. John Dunbar wants to see the western frontier. He is sent to Fort Sedgwick in the Dakota Territory and is to report to Captain Cargill, but upon arrival he discovers the outpost abandoned and in serious disarray. He puts himself in charge of clean-up and goes to work bringing the camp up to standards. While engaged in the task he notices a lone wolf sitting off in the distance watching him. At first he is wary, but then a mutual curiosity between the two becomes an interesting lesson in friendship. Day after day the wolf comes along to keep track of the actions of this man who has invaded its territory. Dunbar journals and one evening while reflecting on the wolf’s presence, he notes that if it shows up the next day he will name him Two Socks because of the white patches on its front paws. Two Socks does not disappoint; he arrives on schedule. Dunbar begins to feed him by leaving scraps of meat at the perimeter of the fort and then, in incremental stages he eases the food closer and closer. It is fascinating to watch as Dunbar’s provision causes confidence to grow in Two Socks and he trusts the man; it is remarkable to consider Dunbar’s patience and determination to coax a wild animal to take a morsel from his hand. When that occurs in a tender moment their friendship is sealed. As this man and wolf relationship unfolds, Dunbar encounters his Sioux neighbors. Through a series of incidents that are laced with tension and misunderstandings because of radically different worldviews, the U.S. Army soldier finds himself drawn to them. A rapport is established and they begin to enjoy each other’s company. Intrigued by the culture, Dunbar spends more and more time with the Sioux. A triumphant buffalo hunt and the celebration afterwards causes him to rethink remaining vigilant at Fort Sedgwick. He rides out to make an impromptu visit to the Sioux encampment and is frustrated because Two Socks wants to follow. What happens next is singularly joyful. Dunbar gets off Cisco and runs at Two Socks to try and chase him toward Fort Sedgwick; Two Socks responds by playfully nipping at his heels to trip him up. Unknown to Dunbar, as this sequence plays itself out, it is being watched by three of his Sioux companions. They are in awe of his kinship with the wolf; they honor him by giving him the Sioux name Šuŋgmánitu Tȟaŋka Ob’wačhi, which translates into English as Dances With Wolves. 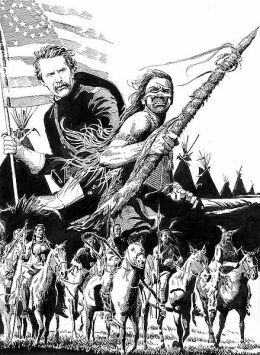 The connection between Dances With Wolves and Two Socks is primal in its dynamic flow. In a tragic and heart-wrenching scene near the movie’s end, Two Socks is killed because of loyalty to his friend. We are often like Two Socks; we receive God’s blessings but keep our distance; we take what God provides, but are suspicious of his offered intimacy. God is deaf to no as our final answer; he is purposeful in his intent to break down our instinctive defenses because he yearns for a meaningful friendship with each one of us. Regardless of how guarded or stand-offish we are; no matter how many times we snip or snap at him, God never gives up on us. That is an awe-inspiring truth which—quite frankly—is entirely impossible to comprehend. It is mysterious and wondrous; we cannot dissect it or take it apart to examine it. We must simply accept it by faith. What’s up with friendship is this: We should be conduits of friendship. In God’s action, believers in Jesus Christ ought to see our responsibility to always be in the business of making friends because as God deals with us we are to deal with others. We likely all know someone who is wounded or hurt or all alone and needs to be pursued with friendship. Do we require a special invitation to reach out to them?